Sometimes you just want to get out of town, experience something unusual and post about that experience! 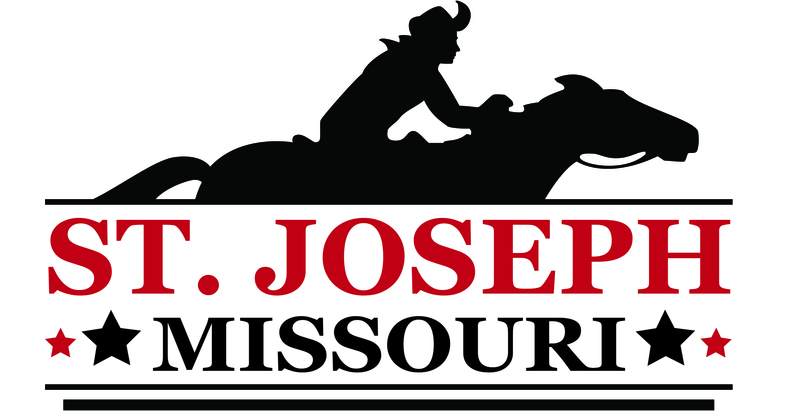 St. Joseph, Missouri has just the thing. Here are some fun excursions that will appeal to your quirky side. Let’s be real. Most of us really travel in order to dine in unique locations and St. Joseph has plenty to choose from. For traditional Mexican food the locals swear by, stop by Barbosa’s Castillo. Located inside the historic hilltop Moss House, it has one of the best views of downtown. 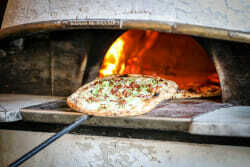 If pizza is more your style, experience Il Lazzarone traditional Neapolitan wood-fired pizzas cooked in an Italian oven in under 90 seconds. JC Wyatt House offers an impeccable Victorian atmosphere and five-star quality, three-course meals by reservation only. You can also find a great steak at the Fredrick Inn. This 1960s throwback steakhouse, complete with a salad bar, is sure to do the trick. Don’t forget to order a grasshopper from the bar. It’s not about what you drink, it’s about where you drink, whether adult-strength options or kid-friendly concoctions. During the day, the kiddos can quench their thirst with shakes, malts, fruit smoothies, soft drinks, or an Arctic Rush at one of three walk-up-and-order Dairy Queen locations. During a diner-style dinner at D&G Pub and Grub, you’ll enjoy craft cocktails from the historic bar. 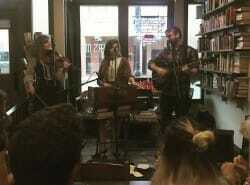 And for happy hour or an evening nightcap, a must visit is The Tiger’s Den Bookstore & Bar. Nope, that’s not a misprint. Where else can you read a Steinbeck novel while drinking a “Hemingway Daiquiri”? Or maybe you want to sip something sweet while playing old video games? Check out Club Geek, a bar with retro gaming and nerd atmosphere. What’s quirky about learning? Surely, you jest. First stop? How about one recently cited in New York Times as one of the “World’s Weirdest Museums”, The Glore Psychiatric Museum. Formerly “State Lunatic Asylum No. 2”, this museum contains artifacts and exhibits that depict the disturbing history of centuries of mental health treatment. It has been mentioned in national publications and television programs including Learning Channel, Discovery Channel, and Science Channel. Want to spend the night? You can do that too, during their annual sleepover. And what’s more bizarre than seeing where notorious outlaw Jesse James was shot and killed? 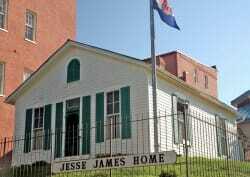 At the Jesse James Home Museum, you’ll see the divot on the floor where he fell and hit his head.  Unique places to play are aplenty in St. Joseph! Even our 26-mile Parkway system is on the National Register of Historic Places. Developed in 1918 by architect George Burnap, St. Joseph was one of the first cities in the United States to develop a comprehensive parkway plan. At the northern end of the parkway is the 162-acre Krug Park, complete with a lagoon filled with ducks, geese and fish, waterfalls and fountains, and a play-yard designed to resemble a castle. Miniature Golf is still a popular activity here, so “putter” on over to play one of the three different courses at Cool Crest Garden Golf. For 60 years, the intricate maze of links has entertained all ages. No trip would be complete without a root beer float in a frosted mug. Or, if ice-cream is your favorite treat, head up the street to Kris & Kates Sweet Treats. Look for the giant pink ice-cream cone. Every great visit deserves the perfect souvenir, and we have plenty of quirky places to choose from. A wonderful assortment of eclectic local stores located in downtown St. Joseph is definitely worth a stop. 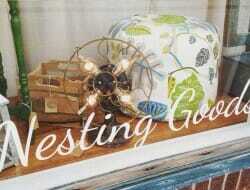 Nesting Goods features one-of-a-kind home decor items and gifts from local artists, along with unique antiques. Mod Podge Boutique is full of unique clothing, accessories, and whimsical decor. Step back in time at The Lucky Tiger vintage store and find clothing of all sizes, jewelry, vinyl records, accessories, gifts, and antiques. 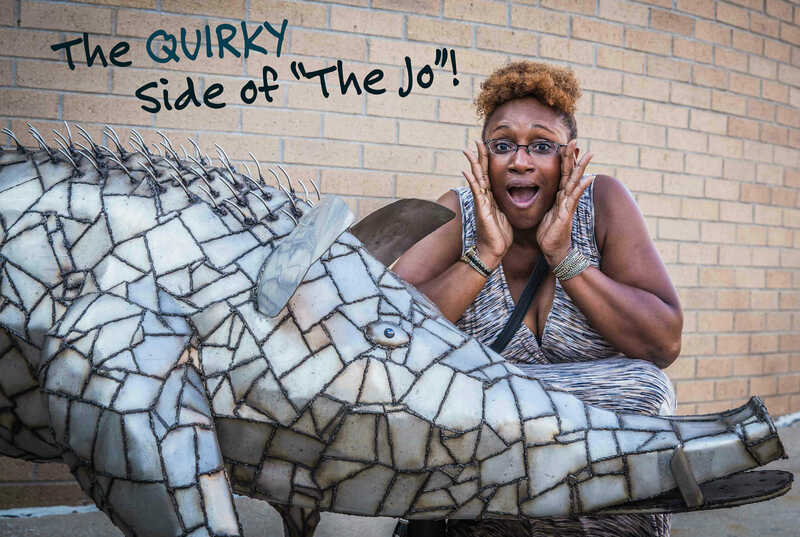 So what do you think makes St. Joseph quirky?